Children play on a swing set at Glouster Memorial Park next to Glouster Stadium in Glouster, Ohio, September 2014. Athens Halloween Block party, 2016. Welcome to Monroe County, Tennessee. Grainger County, Tennessee, Tomato Festival. Sawyer Koons shoots his shotgun while hunting in rural Morgan County, Ohio. Damien Schmersal holds up a raccoon he shot while hunting in rural Athens County, Ohio. Tanner Koons guts a freshly hunted deer in his barn. Glouster, Ohio, 2016. Ryan Wilusz plays his guitar at dusk. Dawn over Morgan County, Ohio, September 2016.
oKyriek George and his cousin Vákarus Bomar, 8, fish from the Riverside Landing boat dock in Knoxville. After weeks of unusually warm weather, the boys took advantage of the final day of warmth to catch "anything that bites." A church member sings along to a hymn during an outdoor church service at Dante Baptist Church in Knoxville, Tennessee on Wednesday, September 27, 2017. Austin-East High School, a historically black high school, basketball team. Knoxville, Tenn.
Townsend Balloon Festival. Townsend, Tenn. 2018. 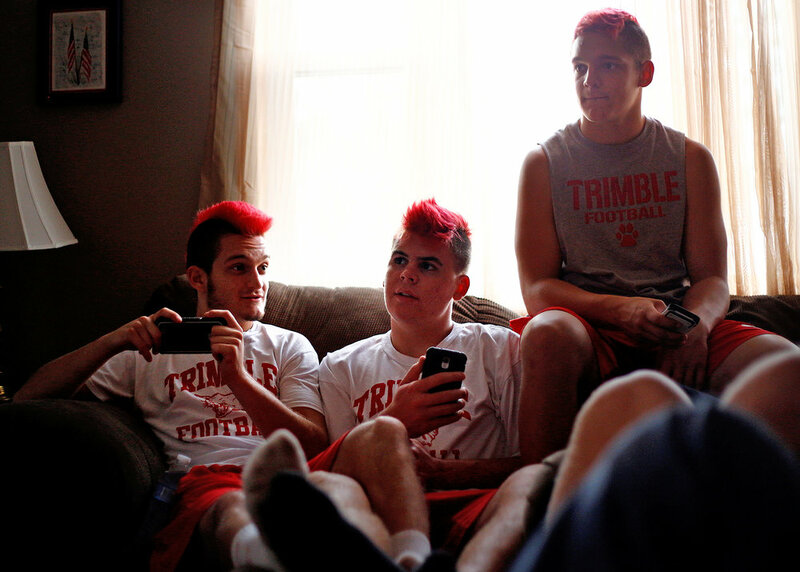 Austin Downs, Micah Couch and another teammate hang out at home after Trimble High School football practice in October 2014. A poster of Suddam Hussein with a bullett hole in the head. Sweetwater, Tennessee, 2018. Fishing on the Tennessee River. 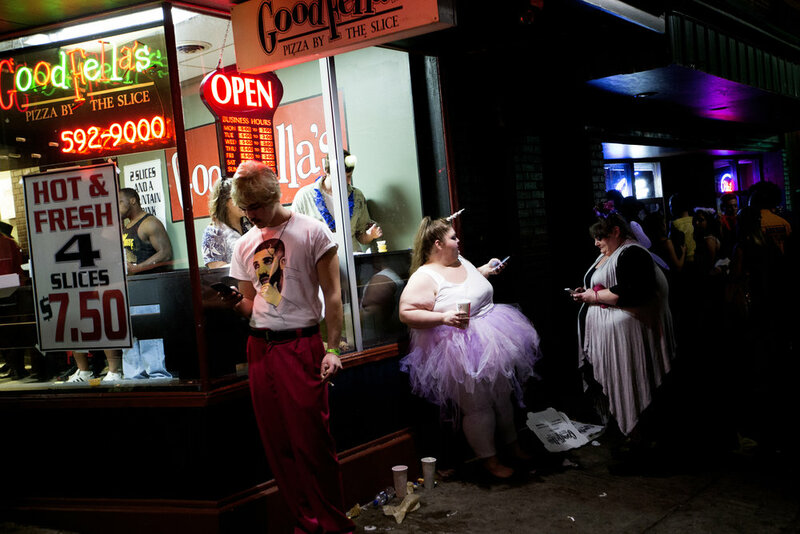 Knoxville, Tenn.
Club XYZ, a gay nightclub. Knoxville, Tenn.